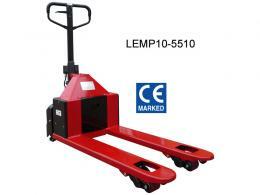 What is the purpose of the Semi Electric Pallet Truck? Make your work easier and more productive by using this product to transport heavy materials. The Semi Electric Pallet Truck is a compact pallet truck that still packs a lot of power. The electric drive makes it easy to handle and the powerful forks can support up to 1500kg of weight. An electric pallet truck reduces the risk of injury caused by pulling heavy loads on a manual pallet truck and makes your work environment a safer place for you and your staff. The Pallet Truck is perfect for any work site. From warehouses to factories to sorting facilities, this pallet truck is ideal for all your on-site needs. 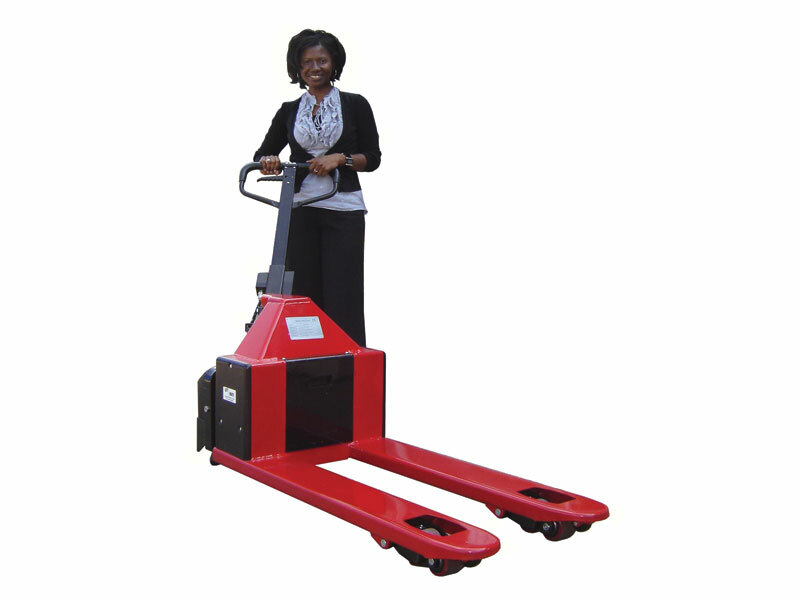 Whatever heavy loads you need to transport, the Semi Electric Pallet Truck can move the. This pallet truck is extremely manoeuvrable and has 180 degree steering. Because the Semi Electric Pallet Truck is so easy to use, your whole staff can take advantage of this fantastic tool. Plus, it will make working with heavy loads safer for the whole team. 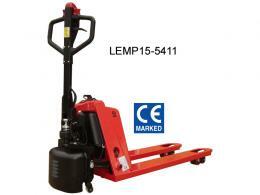 The Semi Electric Pallet Truck comes in various sizes. Depending on the size you get, your pallet truck will be able to support up to 1000kg or 1500kg of weight. Even though it is a powerful and useful tool, it will not get in the way of work. It’s compact size and low noise levels make it easy to fit into any working environment. The Semi Electric Pallet Truck has a manual lift and an electric drive with a built in charger. 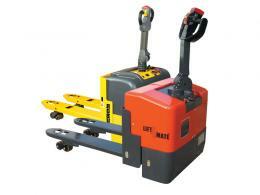 The electric drive provides easy and economic pallet handling. In addition, the Semi Electric Pallet Truck comes with a one-year warranty for parts and labour, a low price guarantee, and free delivery in 2 to 3 days.